Amid “Envision UC Davis” last week and four days before “Reimagining Our Work,” Chancellor Linda P.B. Katehi used her Feb. 25 State of the Campus address to tie all the forecasting and thinking together, as part of her vision of UC Davis as the University of the 21st Century. Preliminary numbers from “Envision UC Davis,” our 36-hour, online brainstorming session, last Wednesday and Thursday (Feb. 24 and 25), show the game drew nearly 2,500 participants and 28,226 futures, or positive and negative “imaginations” of UC Davis. The nonprofit, Silicon Valley-based Institute for the Future, which ran the game, is now analyzing the results. The game was for everyone at UC Davis, and the campus particularly encouraged student participation. Which explains the game huddles with pizza and T-shirts at several locations throughout the game. Thursday afternoon, in her annual State of the Campus address to the Academic Senate’s Representative Assembly, Chancellor Katehi explained how the campus is putting together the strategic framework for the University of the 21st Century. The process began in a very traditional way, with a committee of faculty, students and staff, established in December 2014. The chancellor subsequently convened a committee of early-career faculty members, 16 in all — academics who will lead the university 20, 30, 40 years from now. Working over the summer, the committee came up with a “lily pad” approach for small, temporary facilities for collaborative efforts that suit UC Davis’ interdisciplinary tradition. “We must remain flexible in our design of structures and programs, because what we do today already defines the future,” Katehi said. Last fall, the campus began soliciting “Big Ideas” to present in the university's next comprehensive fundraising campaign. "We want ideas that are transformative, far-reaching, ambitious and well-reasoned. Ideas that, if given the proper resources, can change society,” campus leaders said. 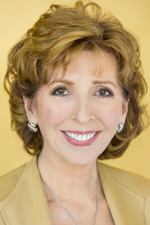 Katehi reported that 80 ideas had come in and nine of campuswide significance had been moved to the white-paper stage. Other ideas are being passed on to the colleges and schools. “No good idea is going to be wasted,” she said. Outreach efforts also included town halls on the Sacramento and Davis campuses, for students, faculty and staff, last April and May. But, in all the information gathering, student input remained elusive. Which brought us to “Envision UC Davis,” akin to a massively multiplayer online game. “I think it's a really interesting way to engage students and get them involved in trying to build the future of UC Davis, and I think the game interface is a good way to get students engaged in the process and get interested in what's happening,” said fourth-year student Alysa McCall, a computer science major. Students and others took to the game so much that by Day 2, #UCDavisFutures was a trending topic on Twitter in the Sacramento region. Katehi said the game analysis will inform the final version of the strategic framework, which could be presented to the Board of Regents as early as May. The chancellor also addressed the campus’s present, particularly the Financial Sustainability Action Plan that is “harvesting” up to $250 million — from efficiencies and new revenue — to reinvest in the academic mission. The efficiency drive played a role in Feb. 29’s “Reimagining Our Work” Day, a Staff Assembly-led event. Departments and units took a break from the routine so they could talk about the routine — and think about new ways of doing things, or perhaps, as the chancellor said, think about processes from long ago that we don’t need to be doing anymore. It was also a day for team building and taking a breath, clearing your inbox and cleaning your desk. Some units offered reports on Facebook: “What a productive and fun day it was. In the midst of creating more efficiencies within each individual department, the Campus Planning and Community Resources team came together to enjoy lunch together and get to know one another a little better.” And another: “SOE (School of Education) walked over to Varsity Theatre and watched McFarland, USA (awesome and very inspirational movie),” about a teacher who starts a cross country team at a high school in the Southern San Joaquin Valley. “UC Davis has had the most California undergraduates of any UC since 2010” — 24,667 in 2015-16, followed by UCLA, 22,772; Irvine, 21,155; San Diego, 20,997; Berkeley, 20,754; Santa Barbara, 18,357; Riverside, 18,015; Santa Cruz, 15,029; and Merced, 6,213. Enhanced Time-to-Degree Initiative — To increase the four-year graduation rate from 55 percent to 75 percent, with improved advising, clearer pathways to transfer and graduation, and more small first-year seminars. Commitment to diversity in enrollment — The chancellor highlighted the School of Medicine’s entering class, 63 percent female, 55 percent disadvantaged backgrounds and 4 percent underrepresented minorities; and the College of Agricultural and Environmental Sciences (new undergraduates, fall 2014), 70 percent female and 28 percent underrepresented minorities. Commitment to diversity in faculty hiring — 109 ladder-rank hires, November 2014 to October 2015, 46 percent female, 24 percent people of color, 12 percent Hispanic and 3.7 percent African American (a percentage she acknowledged must go higher). She outlined retention efforts that include $4 million in equity salary adjustments and a commitment to annual salary increases for faculty (and staff). The chancellor also addressed the campus’s efforts to accommodate growing enrollment, including the additional 1,100 undergraduates who are expected in the fall as a result of UC’s budget agreement with the governor and the Legislature. “This will be a challenge for us,” she said, adding that she did not believe UC Davis had an option. She noted the Tercero 4 residence halls (506 beds) among the projects under constrruction, and said the campus’s Long-Range Development Plan, now being updated, will address further housing needs. She also listed several forthcoming projects: a new, 580-seat lecture hall on California Avenue; the restoration of Walker Hall, to include classroom space for 450 students; the previously announced Chemistry Discovery Complex; and a new veterinary hospital for large and small animals.